Although this country house hotel is more than 500 years old, Ellenborough Park bears the name of the 1st Earl of Ellenborough who bought the Gloucestershire estate in 1833. It is easy to see what the former Governor General of India saw in this grand and sprawling manor. 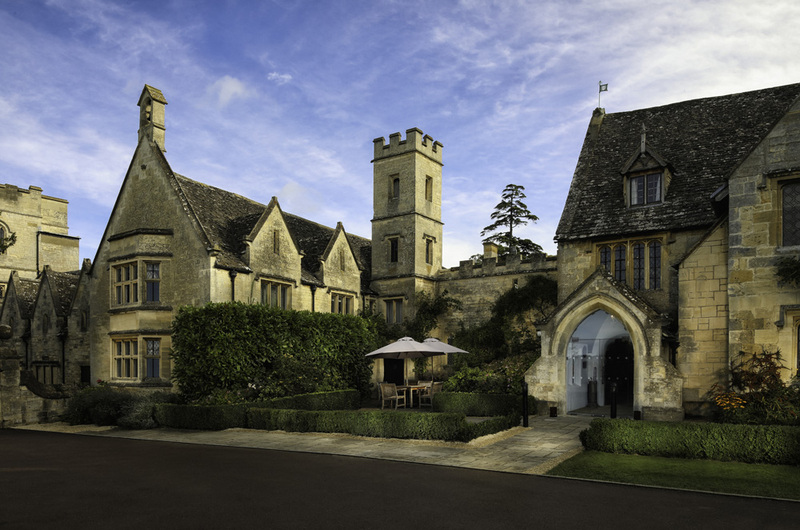 Built from lush Cotswold stone, the tall Jacobean windows and crenelated tower made for an imposing welcome, bringing further drama to the beautiful setting. Meanwhile, the meticulously clipped hedges and the Union Jack flying from the roof underline the current owner’s intentions for this to be every bit the quintessential English getaway. A tasteful refurbishment last year has updated the restaurants and reinstated the original 1485 door as the main hotel entrance too. 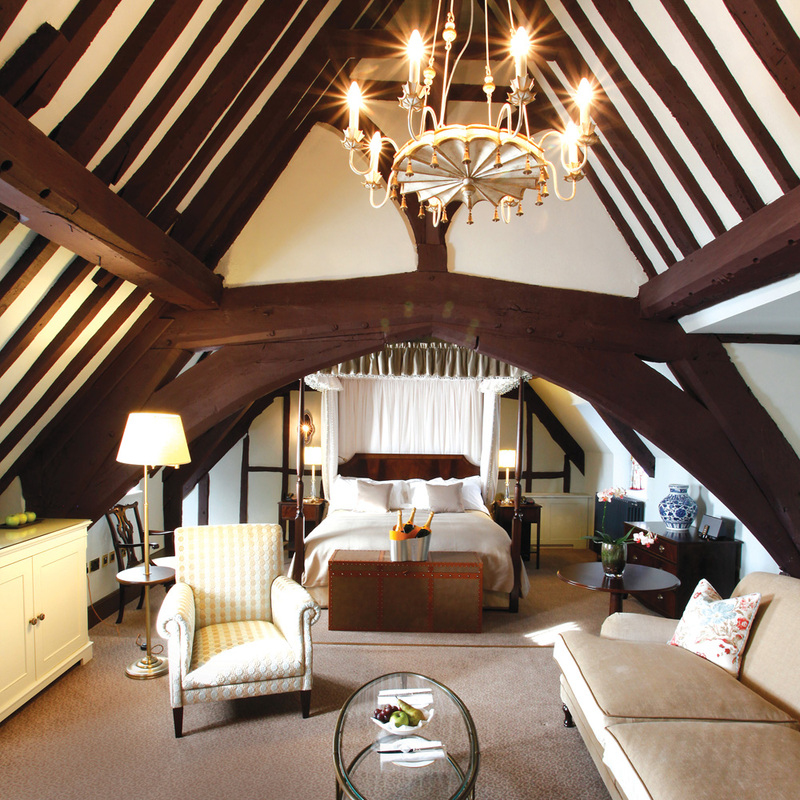 Ellenborough Park is situated just outside Prestbury, a suburb of the Gloucestershire spa town of Cheltenham. The officially designated Cotswolds Area of Outstanding Natural Beauty begins on the opposite side of the road, while the hotel’s 90-acre grounds back onto Prestbury Park, home of the popular Cheltenham Racecourse. Horseracing has taken place at the park since 1831 and the annual Cheltenham Festival (12-15 March 2019) is a highlight of the British equestrian and social calendar. Cheltenham itself is home to the opulent Victorian-era Everyman Theatre and the Holst Birthplace Museum, which pays tribute to The Planets composer in an unassuming Regency terrace. Day trip options include the 18th-century Painswick Rococo Garden and Sudeley Castle and Gardens, the picturesque final resting place of Katherine Parr, the last of Henry VIII’s wives. Don’t think for one moment that the grand communal areas, spa, outdoor heated pool, and extensive grounds are a distraction for sub-standard rooms. Interior designer Nina Campbell has produced bespoke schemes for the 61 suites and rooms, whether in the main house or situated in the hotel’s other buildings. The details are the key to the exemplary levels of comfort offered throughout Ellenborough Park. Even the smallest “cosy” doubles boast bathrooms with underfloor heating, Nespresso coffee machines, towelling robes, and mattresses from Hypnos, a manufacturer with a Royal warrant. And if it’s good enough for the Queen, it’s good enough for us. Our suite – with its high ceilings and impressively traditional furniture – afforded us views of the large outdoor swimming pool and rolling countryside that cossets the hotel. The landscape surrounding the hotel was lush and verdant when we visited, but would be equally beautiful in the winter snow, with a crackling blaze in one of the hotel’s many original fireplaces to keep hands warm and toes toasty. Ellenborough Park boasts its own “country pub” – The Horse Box. 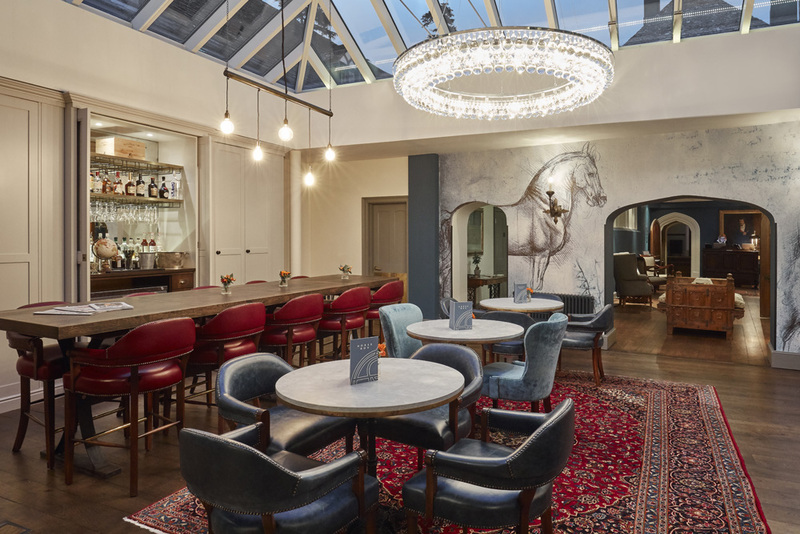 Adapted from the former brasserie, the blue, Shaker-style bar had a jovial atmosphere during our stay, no doubt enhanced by the wide selection of spirits and a focus on cocktails that far exceeds most village hostelries. For a true taste of the local area, the bar offers a Cotswold Dry Gin, created in a distillery 50 minutes’ drive from the hotel, and served with refreshing pink grapefruit, coriander, and black pepper. The bar food menu here leans heavily on traditional and hearty British pub fare that ranges from fish and chips to apple crumble. My husband and I instead reserved a table at The Restaurant, an establishment every bit as straightforward as its name, managed by executive chef David Williams, a veteran of fine dining who has worked with Heston Blumenthal and Gordon Ramsay. Set inside an intimate, wood-panel lined space complete with Jacobean open fireplace, the restaurant’s evening menu places the focus on the key ingredient in each dish, be it venison, black bream, or chickpeas. When we visited, the elegant crab starter was a particular stand-out dish. Our breakfast the following morning brought all of the very finest of local ingredients – including Cotswold sausages – to our plates, and set us up marvellously for a day exploring the hills and valleys that distinguish this beautiful area of England. Should a walk in the surrounding countryside work up more of an appetite, the restaurant also offers guests a sumptuous afternoon tea with all of the usual treats and treasures, including freshly-baked cakes and scones, and a selection of teas. For seekers of indulgence, a champagne tea is also available. Ellenborough Park is an elegant, stylish, and quintessentially English hotel, complemented by good food, wine, and spectacular countryside in this most beautiful corner of the Cotswolds.